Gun Hills: - The View point to Hills is located near the mall road. You can reach their by Ropeway. 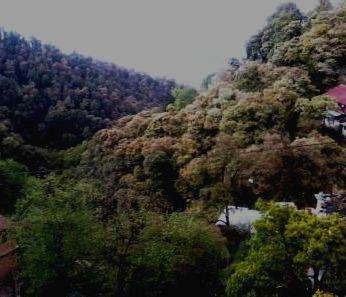 Camel Back Road:- The round road like a camel back is located in mall road of Mussoorie, you can see the road when you are on the mall road where’s a road is turn and make a round shape like camel back. Mussoorie Lake: - Mussoorie Lake is located enroute of the Mussoorie from Dehradun. It is a good place to visit for tourists for taking some fun, and here you can also visit the lake by boats. Kempty falls: - Kempty falls is a natural falls located 15 kms far from Mussoorie city. You can reach their by Roads. Lal Tibba: - Lal Tibba is name of a hill with red color. Municipal Garden: - Municipal Garden is a garden and park with many green trees and for child it is lots of fun. By Roads: - Mussoorie is well connected with roads from other cities. Distance from capital Dehradun is 35 kms. By Trains: - Nearest Train station is Dehradun. Distance is 35 kms. By Air: - Nearest Airport is Jolly Grant Airport Dehradun. Distance is approx. 62 kms. 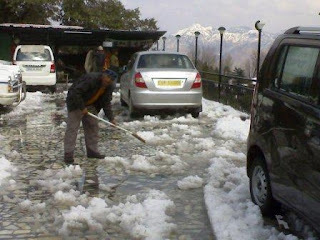 Best time to Visit: - You can visit there any time, and if you want to take fun with snow in Mussoorie then the best time is Jan to Feb. for Snow falls.